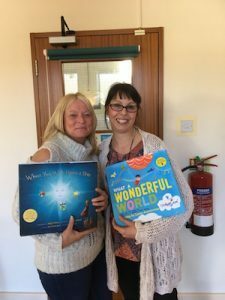 It was such a pleasure to meet Joanna Grace, Founder of The Sensory Projects, and talk about the powerful connection between our work – Sensory Stories and Story Massage. Joanna kindly agreed to write a guest blog which offers a fascinating insight into the power of narrative. She encourages us to look at stories from a different angle and to consider them as a powerful tool for inclusion. Read on to discover a whole new dimension to the benefits of story. 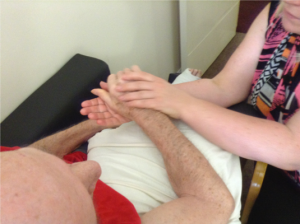 For both of us – The Story Massage Team and The Sensory Projects – much of our time is spent talking about the not-story part of things. People already know they want to tell stories, what they want to understand is why the massage part? Or why the sensory part? But actually there is often a lot more to the story part than first meets the eye. 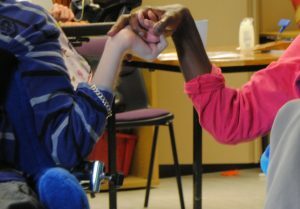 On my day Ambitious and Inclusive Sensory Story Telling we explore the inclusive benefits of narrative for over an hour. Often people attend the day with a story in mind that they plan to write, by the end of that session they have another fifty more. It’s fun to see people run away with new ideas. In this blog, I choose three things that narrative can bring to us, and unpick them a little. These are a random selection from the many wonders accessed through stories, whether those stories are told through words, pictures, signs, symbols, touch or sensation. 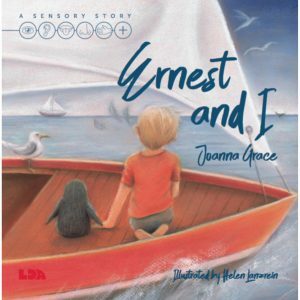 I had quite a usual childhood, one reflected in my latest book Ernest and I which tells the story of a child who grows up at sea on a concrete boat (yes the child in the story is me!). I do not remember a lot of that time, I was very young, but I have been told stories about my toddler self. For example, when I was 3 years old I had a magic winch. Inside the winch I could find anything I wanted to play with. And if I saw something wonderful in the world like a great ship on the horizon or a dolphin playing in our bow waves I could pluck it out of the world and tuck it into that winch to play with later. I remember the winch, but very little of the game. Yet that is a story I’ve been told by various family members and friends. It frames me as a resourceful individual who can create play imaginatively from next to nothing. 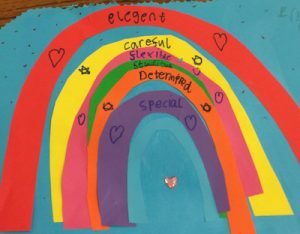 And here you have the adult who in her professional life repeats like a broken record that you do not need expensive equipment to do amazing sensory work, just a little know how and creativity. You can see how the child of that story underpins the adult of today. These stories shape us more powerfully than we might imagine. 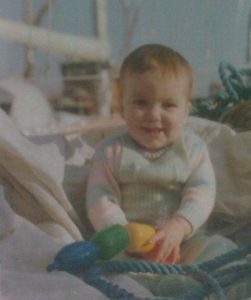 Recently, I found my mother’s diaries from her time aboard that self-built yacht with two children under the age of 3. Amongst the amazing adventures are a lot of horror stories, bad weather and seasickness. At one point she is lying on the floor of the boat, having been so sick for days on end that she cannot stand. She is cradling my six month old sister in her arms and I am the two year old cooped up below deck who is bored. I am the person who trod on her stomach, who kicked her in the head, who shouted and whined at her when she was feeling awful. I am the person who hurt her when she was already hurting. I have NEVER been told that story. Imagine who the adult would be if I had grown up hearing that story about myself? Many of the people I create sensory stories for have never had the opportunity to hear stories about themselves told in a way they can access. You don’t need to create a great work of fiction, a simple tale of a personal event is often way more powerful and can gift people identity and self-esteem. Change comes about through the sharing of stories. Watch politics, and you’ll see one set of people tell a story about how things are now, and then tell another story about how they want them to be and try to persuade us that the story could come true. People with disabilities and neurodiverse conditions often need to advocate for the changes they want in the world. Self-advocacy is always more powerful than someone speaking for you. Equipping someone to tell their story, or to tell a story about something they want to come to pass, is a fantastic way of supporting them. The stories don’t have to be long or particularly eloquent if they come from that person directly stories has so much more power. 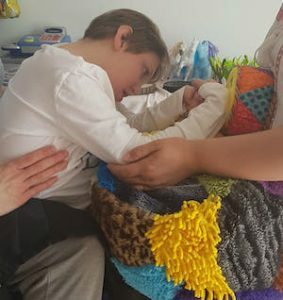 You could help them create massage stories about how to support them physically, or sensory stories about their morning care routines – with their preferences. Personal participation in a story sets their wishes in the minds of the people paid to support them far more readily than instructions written in a file will ever do. We use stories to teach children about difficult topics. Within a story we are better able to face the darkness in life. A great example is death. There is no level of disability or neurodiversity that protects you from experiencing the death of a loved one. People who use language when faced with bereavement can use it to talk about their feelings, to remember the person who has gone, to join in with a shared grieving process. Someone who does not use language experiences the same emotional blow but is excluded from sharing the grieving process. We need to find a way to grieve with them through the senses, or through touch. 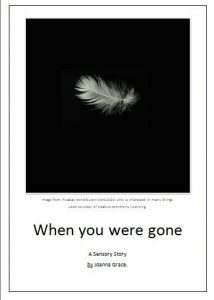 One of the most recent stories on The Sensory Story Project is a story called When you were gone which was written to be shared with people with profound and multiple learning disabilities who have experienced a bereavement. The opportunity to talk, be that with words, with sensations or through touch, is one of the best forms of support you can offer to someone who is going through a tough time. There is good to be found in the awful parts of life, the clinging together of people in the face of grief is a beautiful expression of humanity. You may not be able to protect the person you care about from all the awful things, but through the senses, through touch, you can ensure you are with them in that darkness as well as in the light. I’ve picked just three of a great many powers that stories hold. I could go on at great length about the others, even write a book about it (I have! 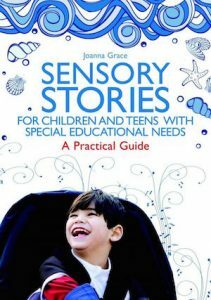 Sensory Stories for Children and Teens with Special Educational Needs). What I want to do with this blog is make you curious to find out more, to take a look at stories from a different angle, and most of all to consider stories a powerful tool for inclusion and to have a go at creating some: massage stories, sensory stories, or just good old traditional word of mouth tales, their power is in your hands! 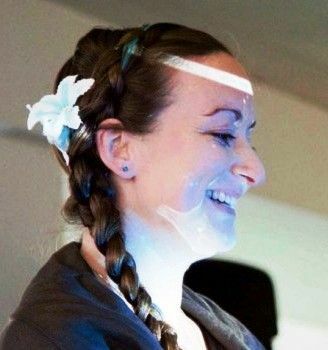 Joanna Grace is a Sensory Engagement and Inclusion Specialist, Author, Trainer, TEDx speaker and Founder of The Sensory Projects. You can connect with Joanna on social media at: Twitter Facebook Page Facebook Profile LinkedIn. 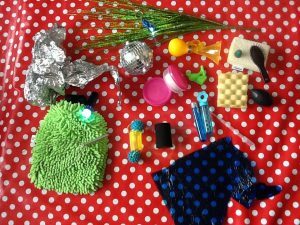 For more information about sensory stories and to download a free guide to sharing them visit The Sensory Projects and click through to the resources tab or attend: Ambitious and Inclusive Sensory Story Telling.